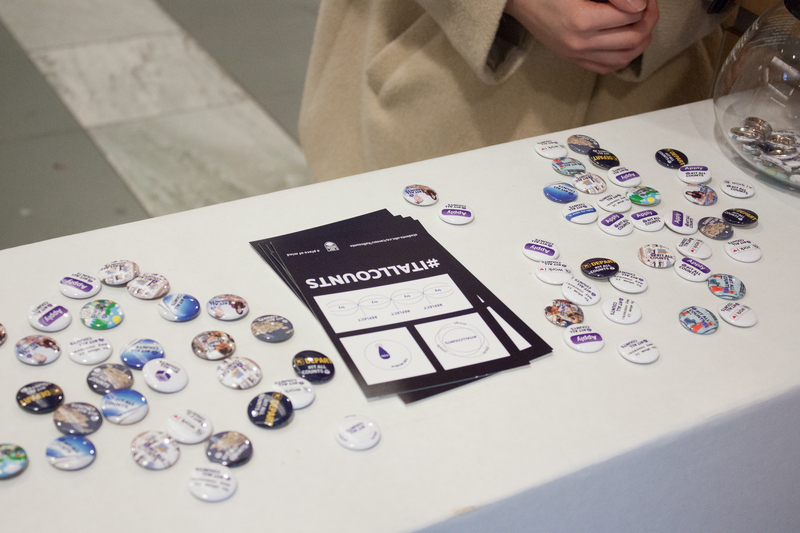 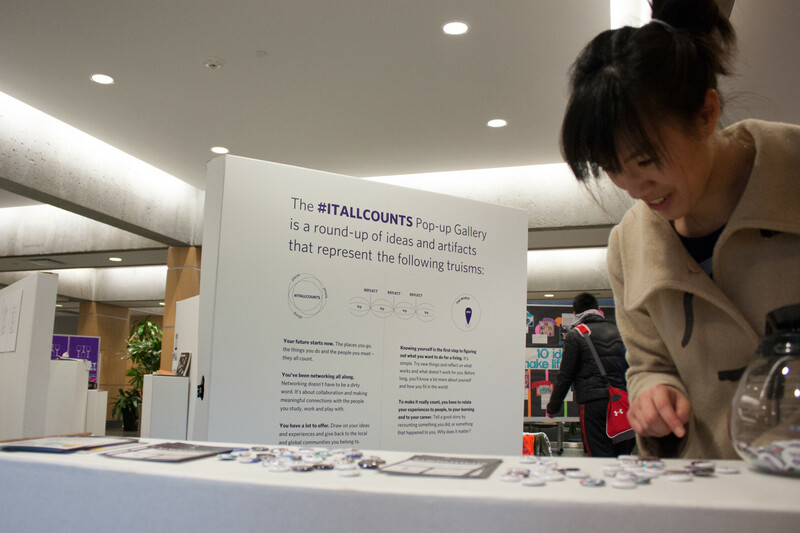 Campaign to change the way students think about career building, including a pop-up gallery, buttons, postcards, and outdoor advertising. 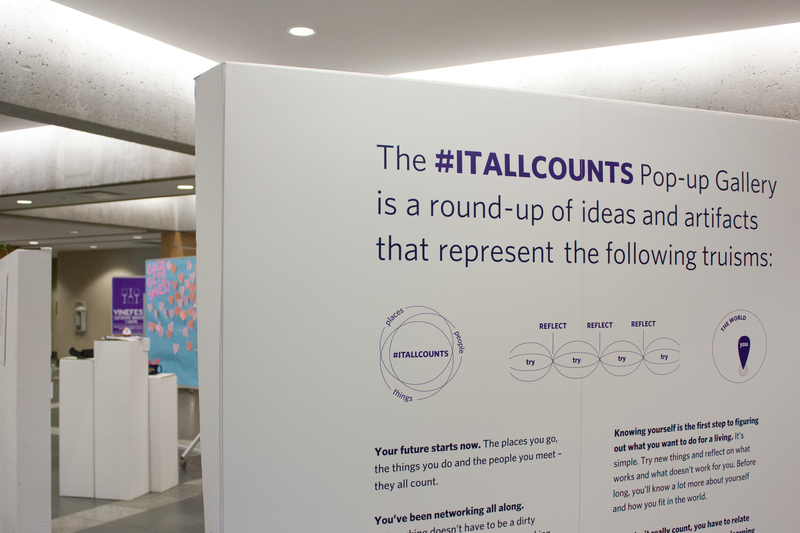 The UBC Student Services 2013 Build my career campaign centered around the idea that #itallcounts – every person, place and thing students encounter during their time at university can help them build their career. 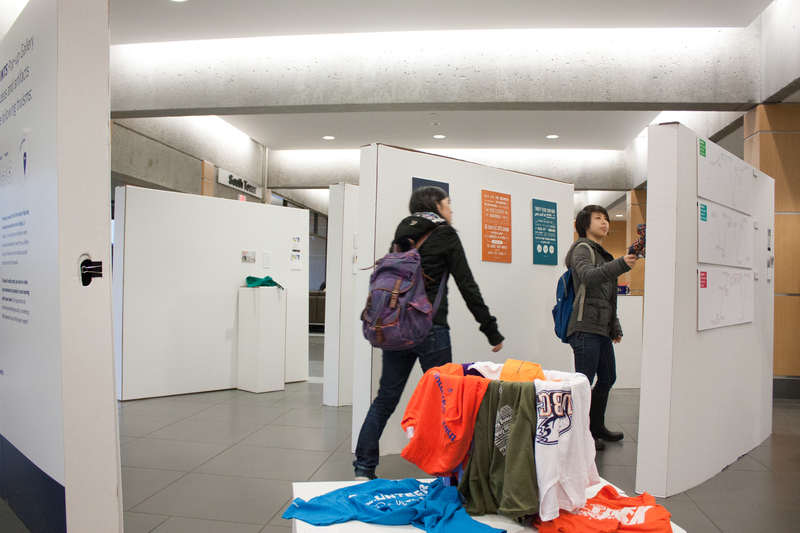 To present this concept to students, we designed a pop-up gallery that travelled around campus for the duration of the capaign, displaying artifacts from students' experiences in building their careers – from t-shirts worn while volunteering on campus, to a karate belt earned on exchange, and a timer used to practice for the 3-minute thesis competition. 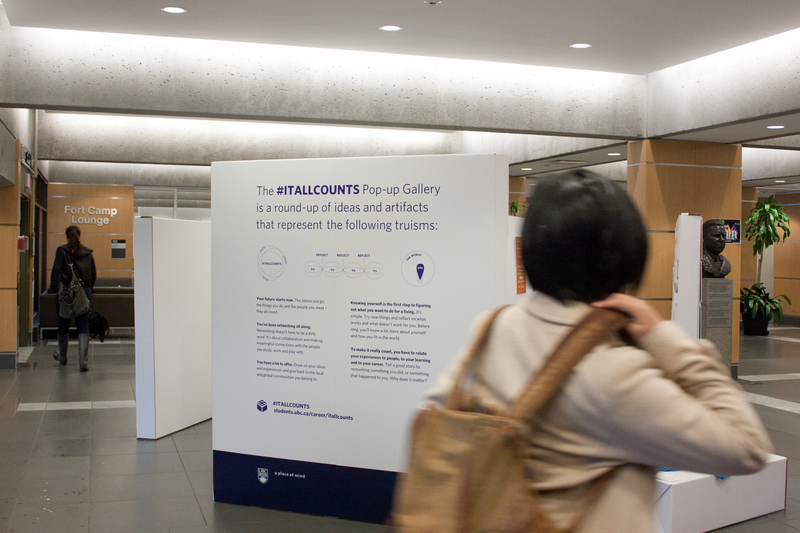 We designed the gallery walls and podiums to be built out of corrogated cardboard by a local box manufacturer, so that they would be lightweight to move to various locations on campus, while still having the smooth white appearance of a traditional gallery to interrupt the surroundings and incite curiousity from passing students. 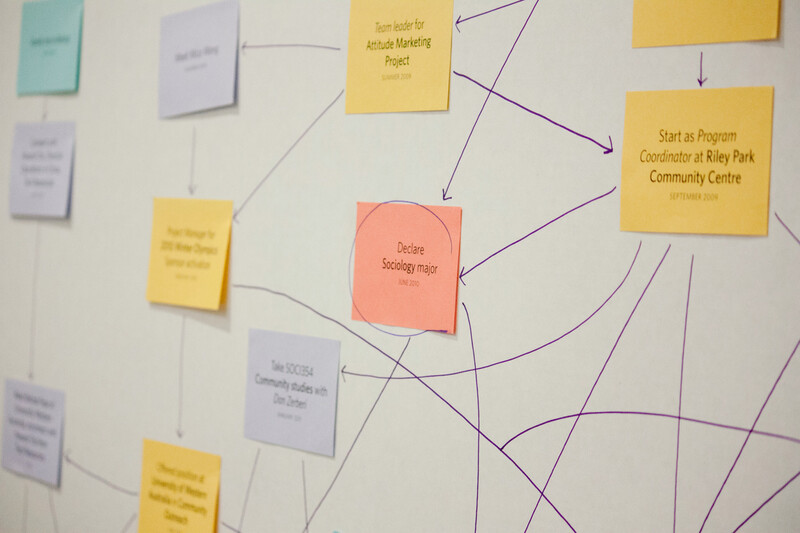 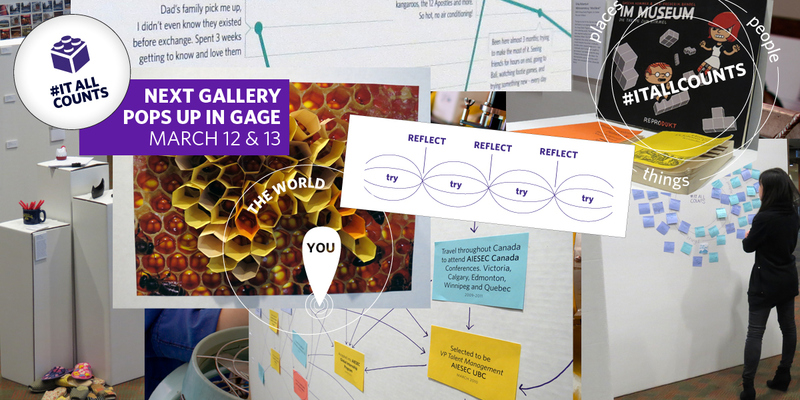 Some exhibits we created from reflection pieces students supplied – such as this wall connecting all of a student's experiences and showing the signigicant moments along the way. 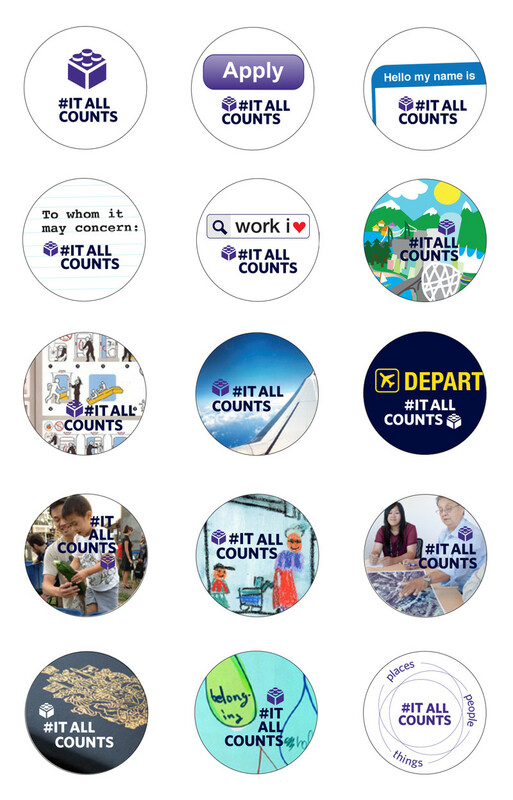 I also designed a set of buttons given out at the Pop up Galleries, to promote the campaign hashtag and the idea that every opportunity you take to travel, join projects in the community, network and reach out to others, counts toward your career; as well as postcards to direct students to resources on the Student Services website, so they could get involved in experiences like those seen in the pop-up gallery. 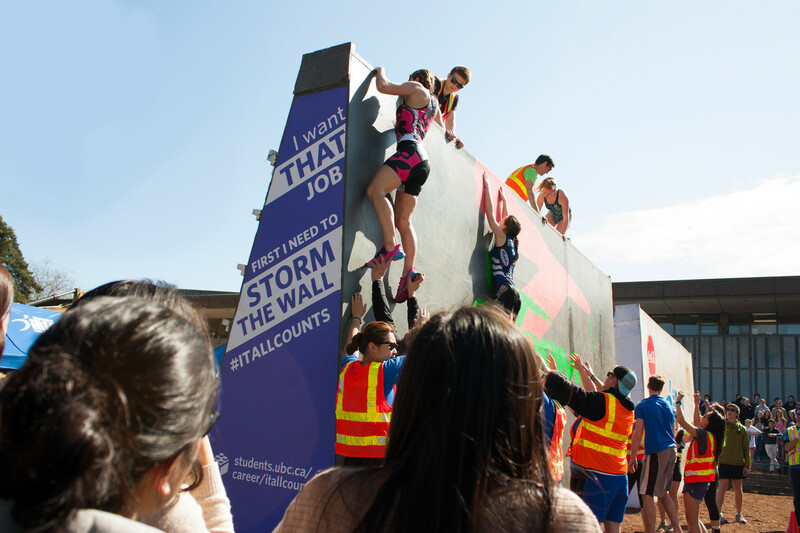 The campaign included large-format ads around campus, tied-in to high-profile events like Storm the Wall.